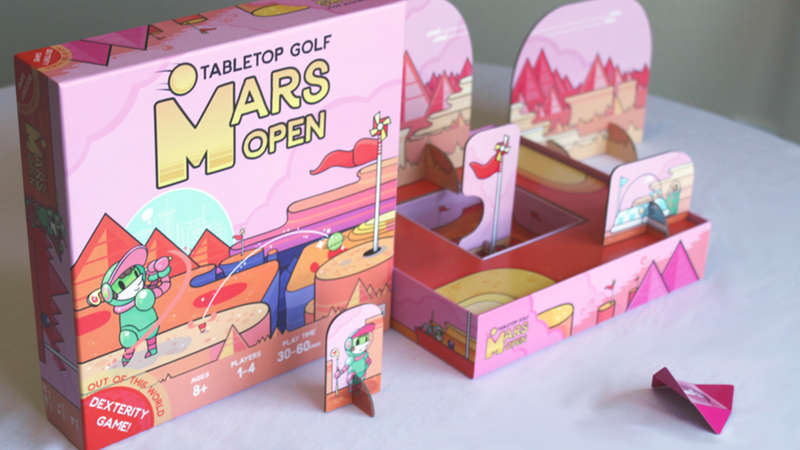 Mars Open: Tabletop Golf is a dexterity golf game. On your turn, flick your golf ball card over obstacles and toward the crater hole box. 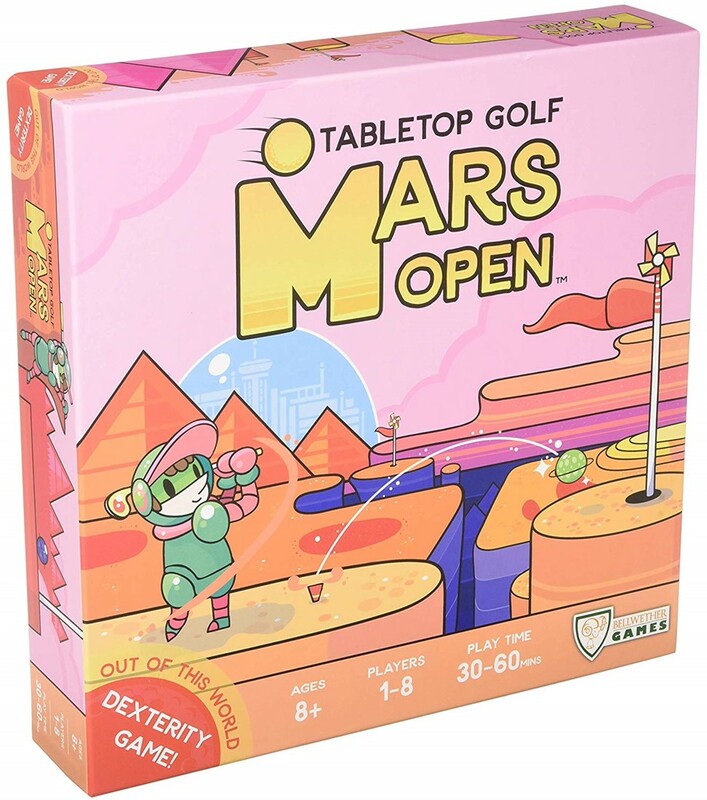 Your goal is to land your ball in the box in as few strokes as possible. 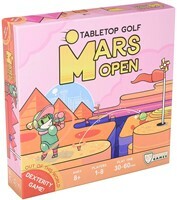 After all players have finished the hole, reassemble the obstacles into the next hole and tee off again. 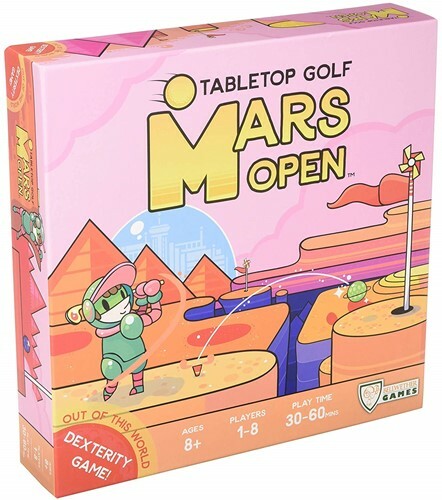 The winner is the player with the lowest score after nine (or eighteen) holes.